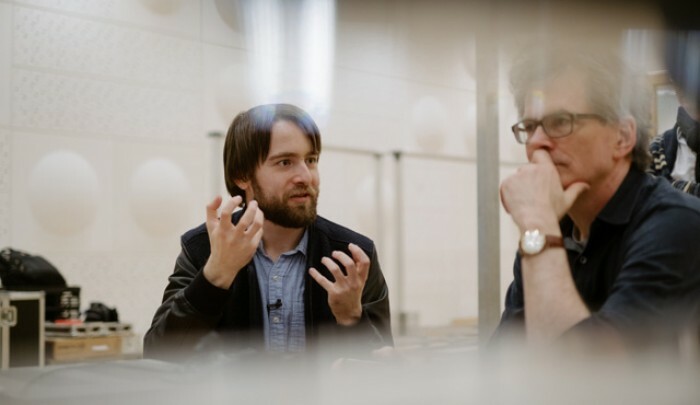 Daniil Trifonov in the control room. 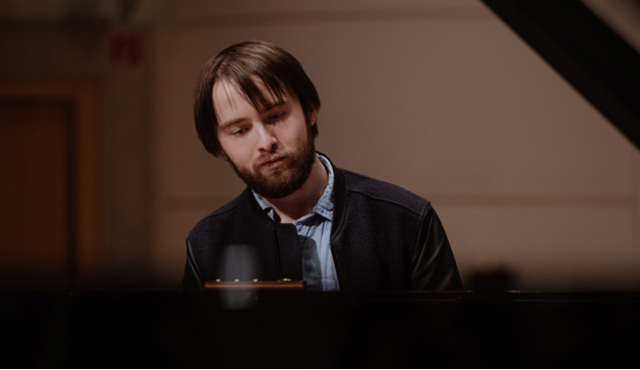 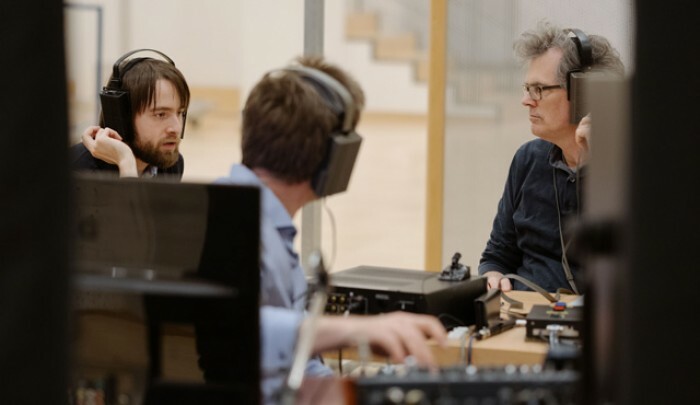 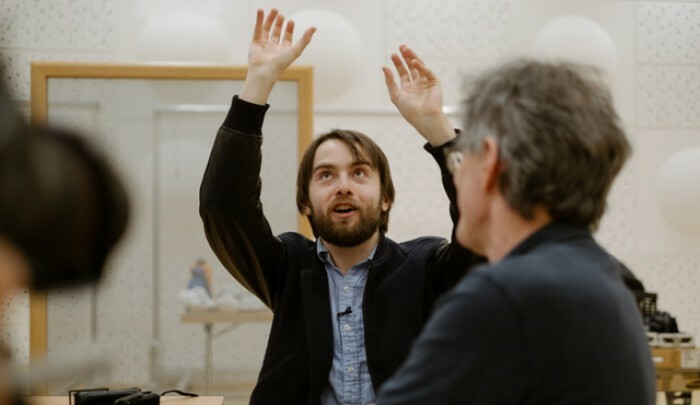 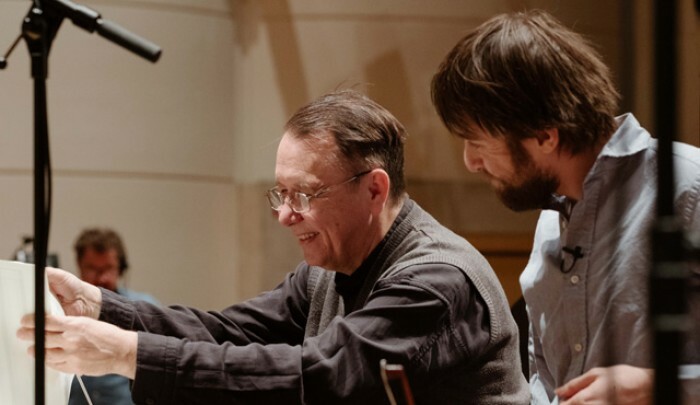 Daniil Trifonov with producer Sid McLauchlan. 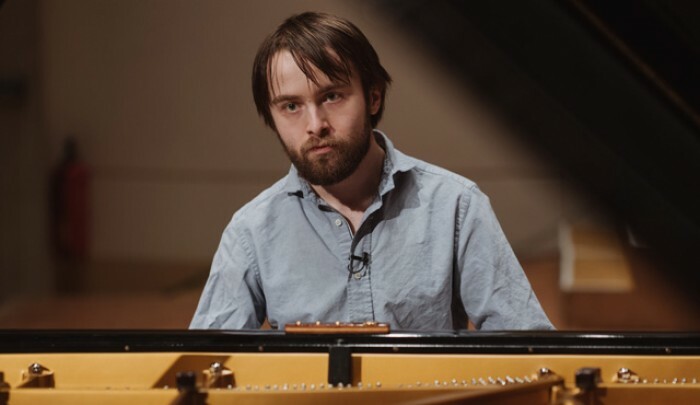 Daniil Trifonov at the piano. 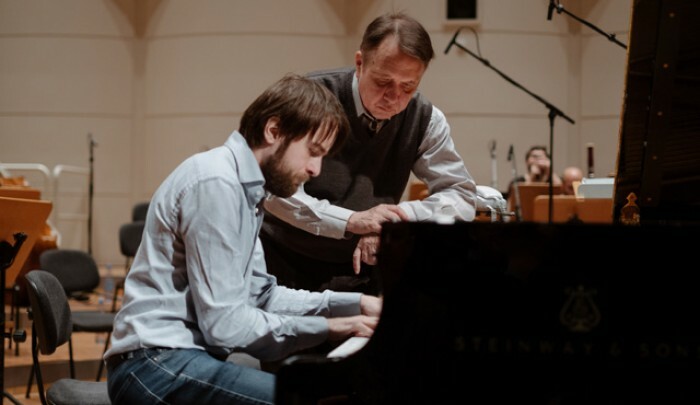 Mikhail Pletnev and Daniil Trifonov. 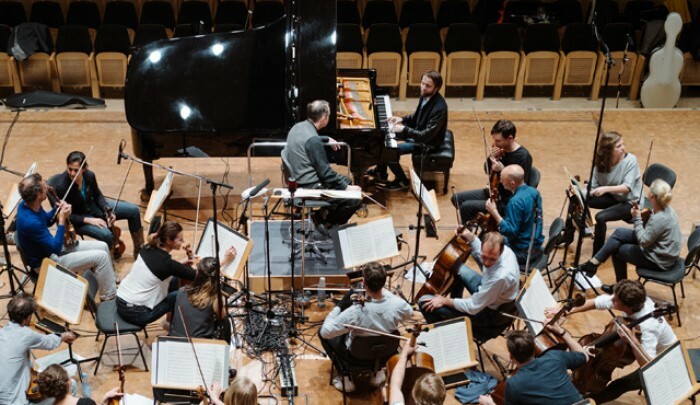 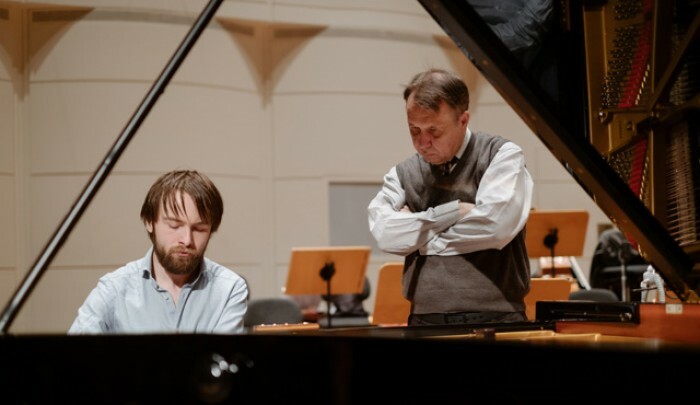 Mikhail Pletnev with Daniil Trifonov at the piano. 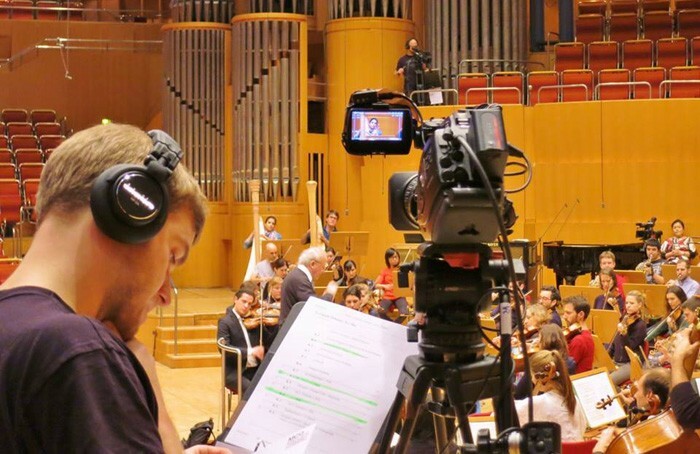 Recording session on stage at Konzerthaus Dortmund. 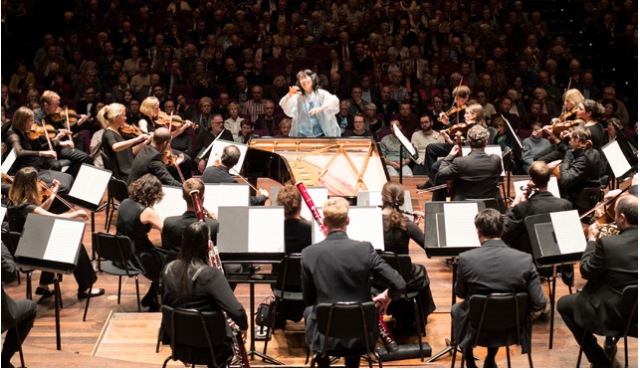 2016 began with the launch of our long-term partnership with pianist Mitsuko Uchida, with a focus on Mozart's piano concertos. 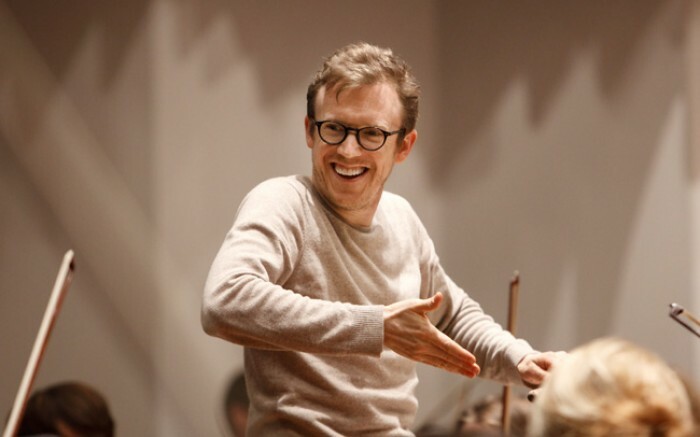 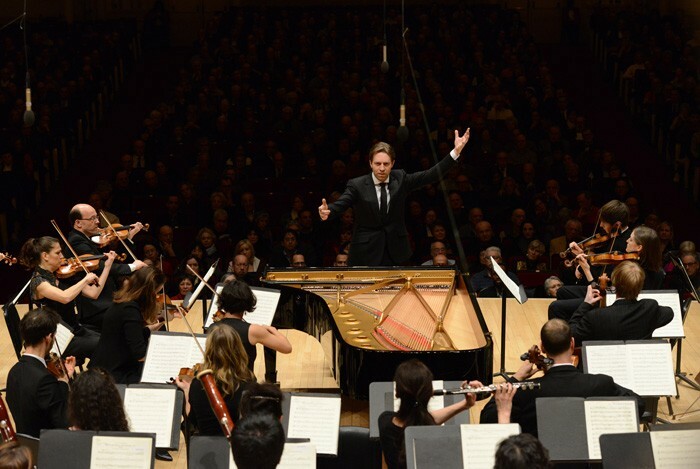 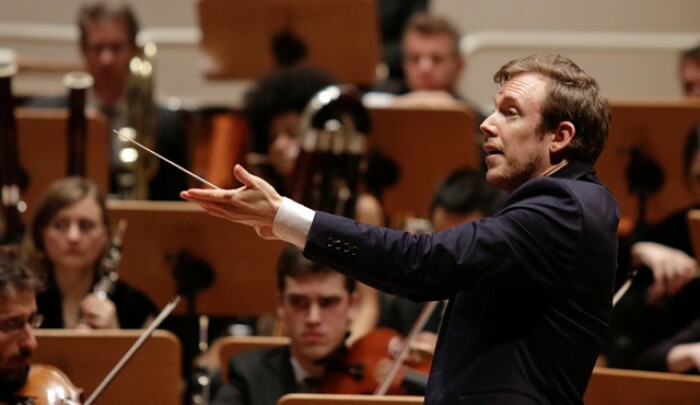 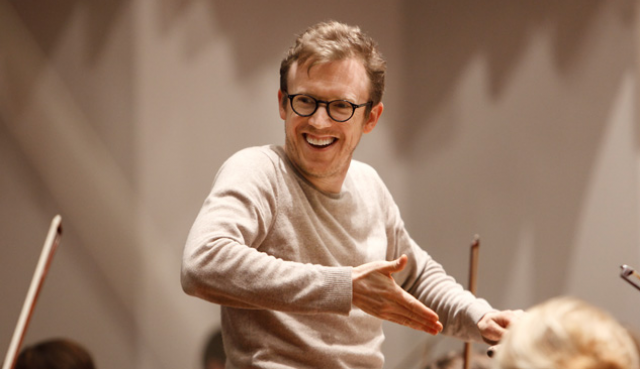 Conductor Laureate Daniel Harding leading the annual MCO Academy project, this time featuring Mahler's Second Symphony. 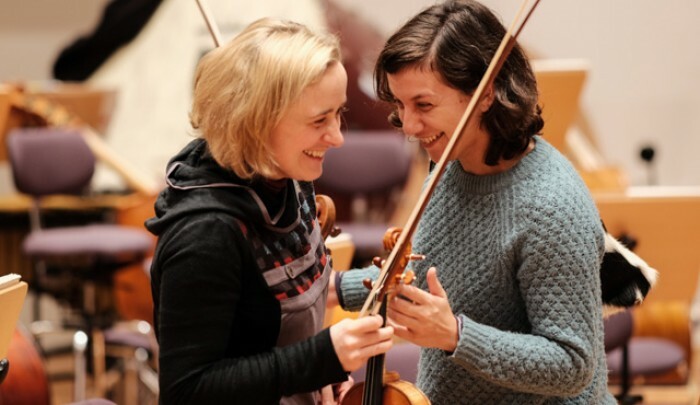 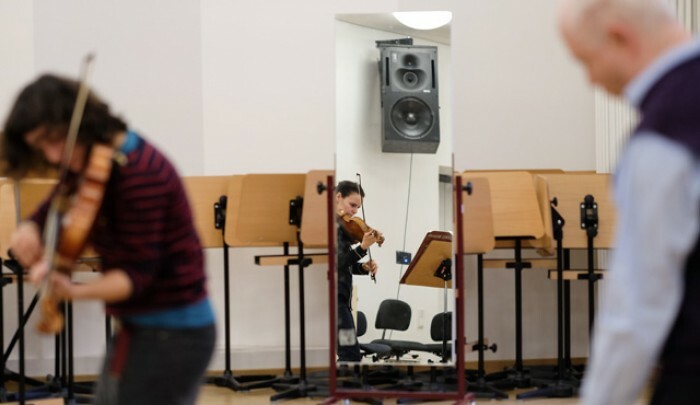 Beatrice Muthelet and Anna Puig Torné rehearsing George Benjamin's "Viola, Viola" with the composer. 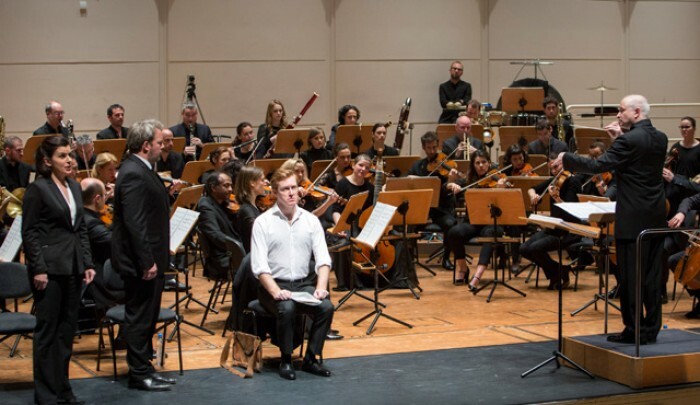 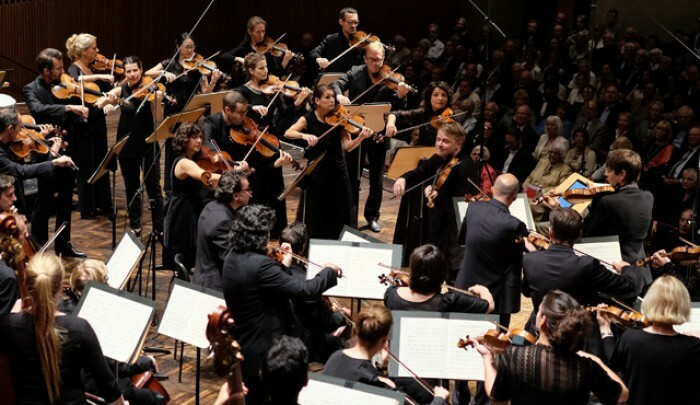 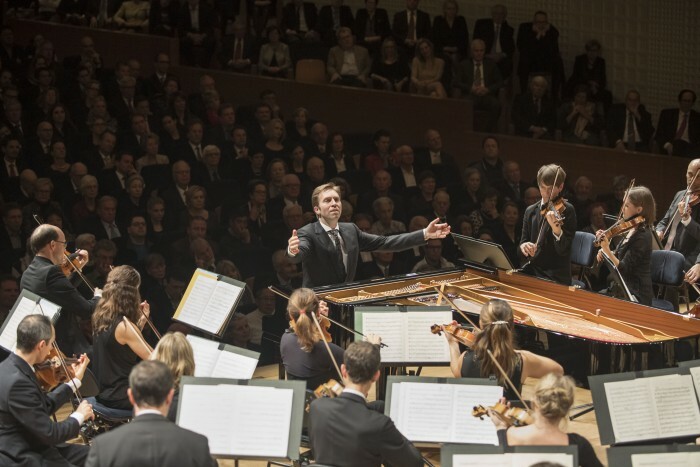 Touring Europe with the semi-staged version of George Benjamin's "Written on Skin" under the baton of the composer, here at Konzerthaus Dortmund. 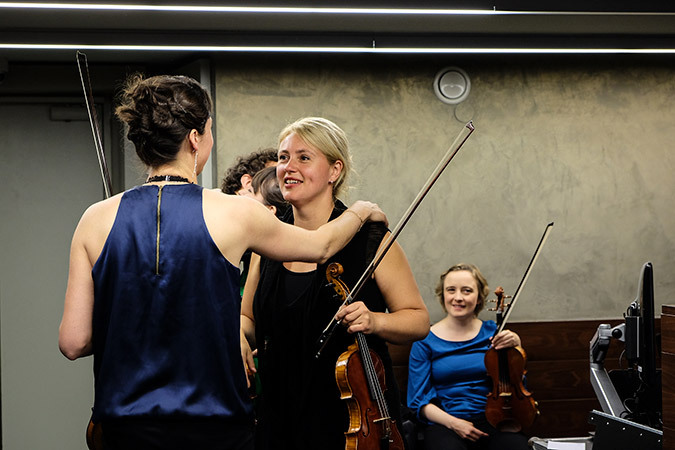 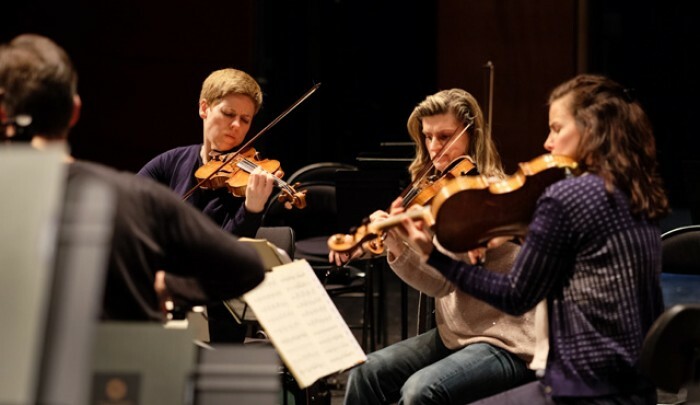 Artistic Partner Isabelle Faust, Julia-Maria Kretz (second violin), Beatrice Muthelet (viola) and Jens Peter Maintz (cello) rehearsing Schumann's String Quartet op. 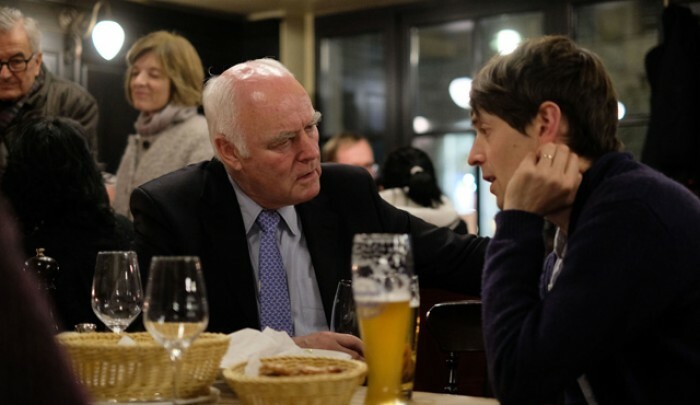 41 no. 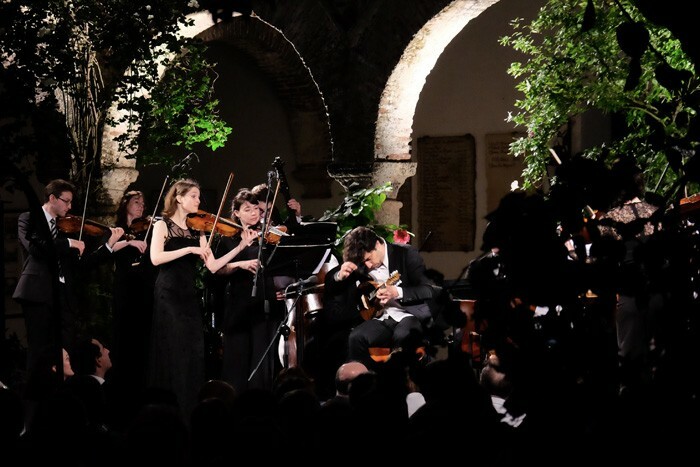 1 at Festival de Pâques in Aix-en-Provence. 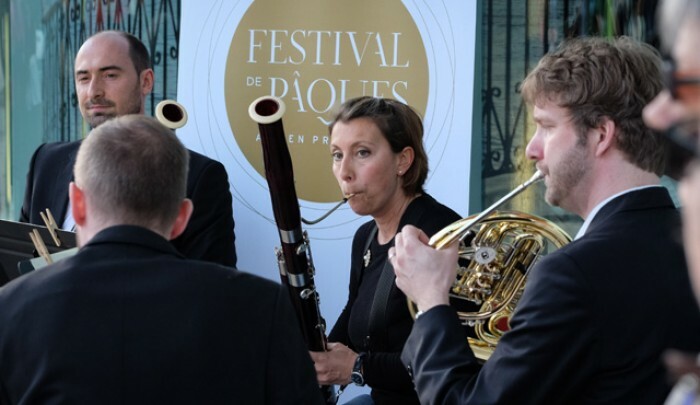 Peter Whelan (Principal Bassoon), Chiara Santi (Bassoon) and Sebastian Posch (Horn) performing chamber music outdoors in Aix-en-Provence. 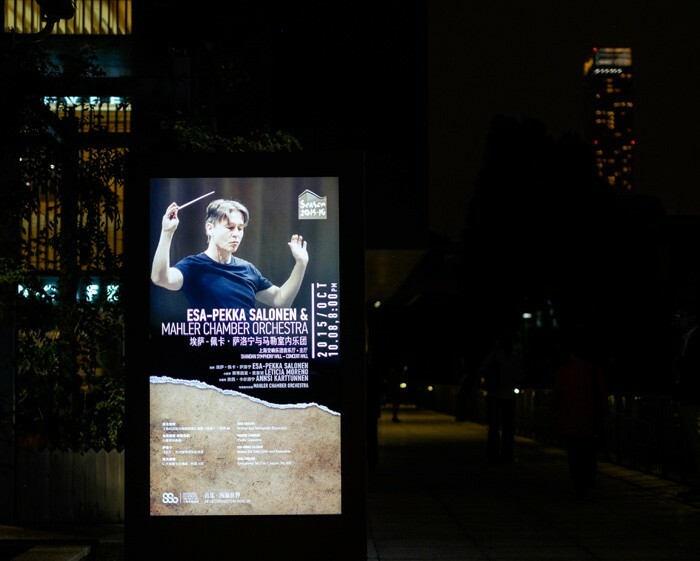 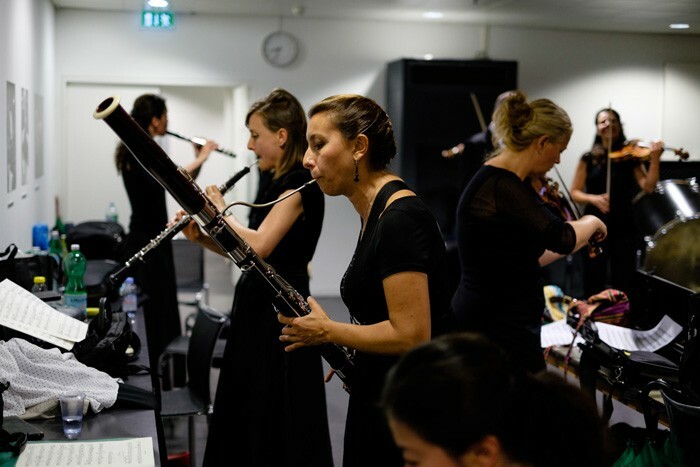 "Feel the Music" during our residency at Festival Katowice Kultura Natura in Poland. 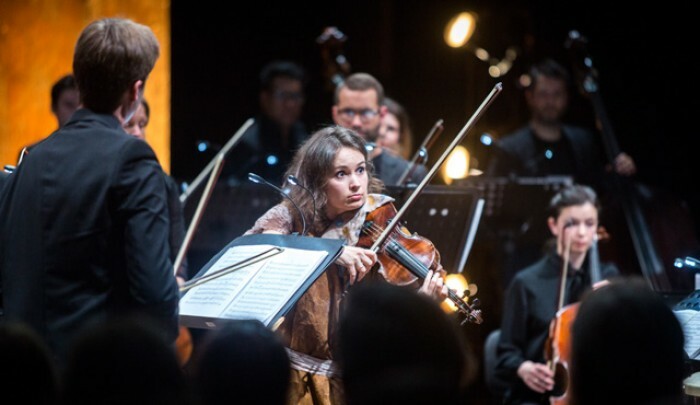 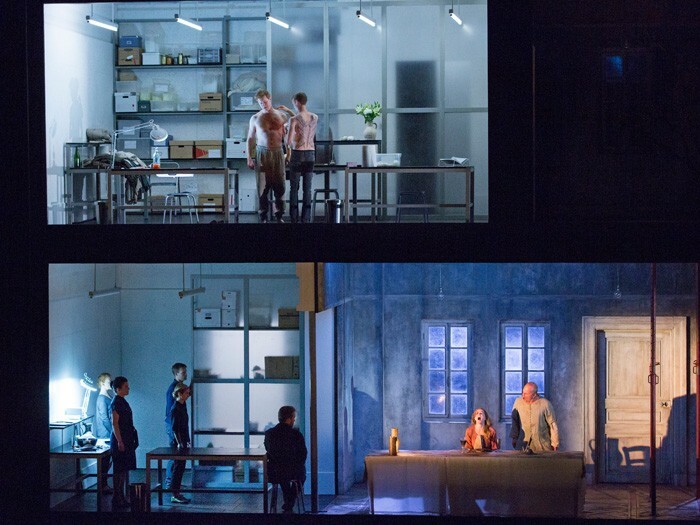 "Bye Bye Beethoven", an innovative staged production, with Patricia Kopatchinskaja at Radialsystem Berlin. 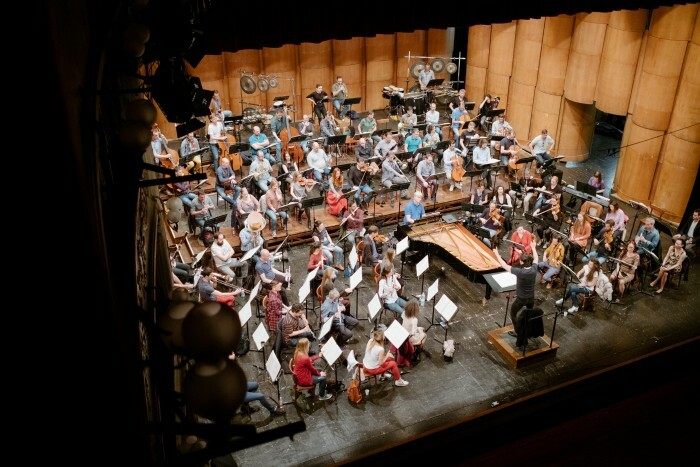 Daniele Gatti rehearsing Beethoven's Ninth Symphony in Ferrara, for his first concerts as the MCO's Artistic Advisor. 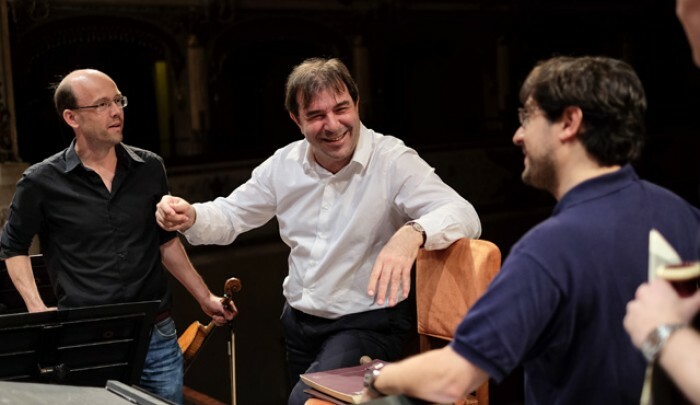 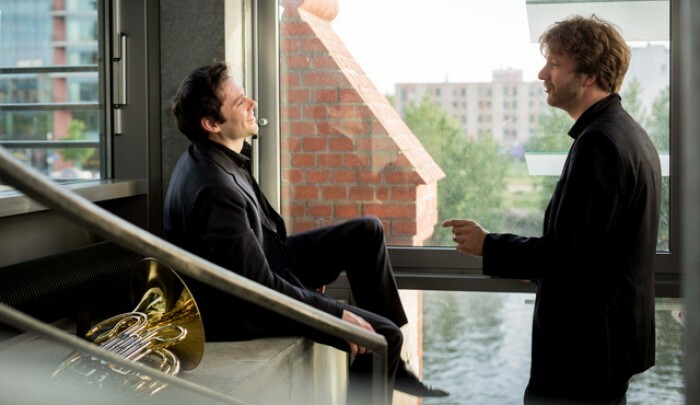 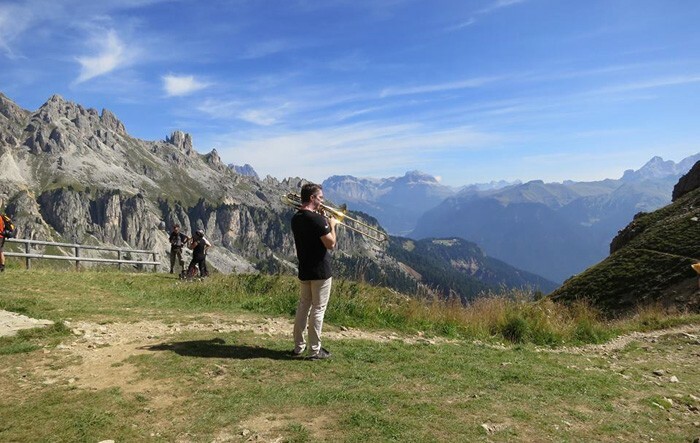 Artistic Advisor Daniele Gatti sharing a light moment with Johannes Lörstad (Principal Second Violin) and José Vicente Castello (Principal Horn) in Ferrara. 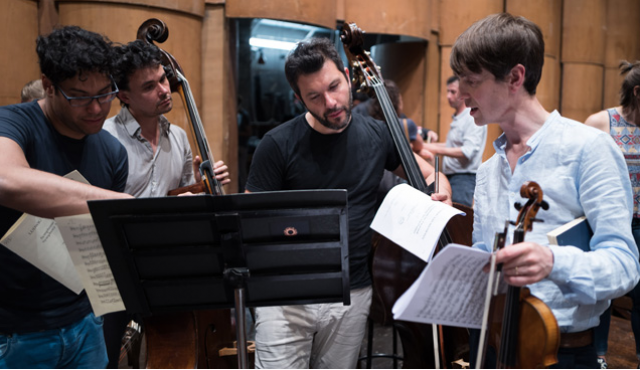 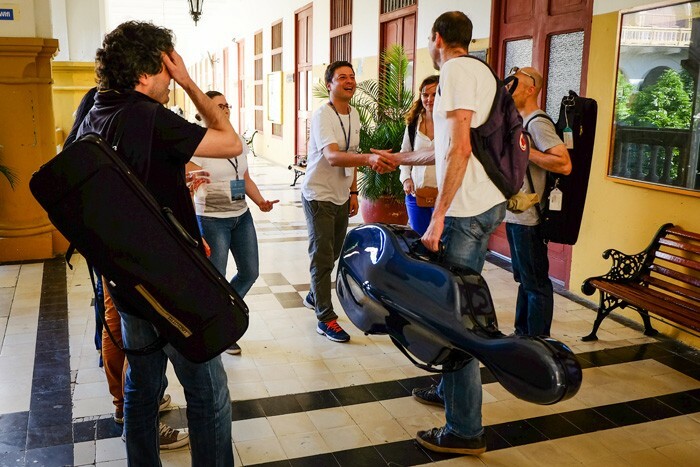 Christian Heubes (second violin) in an orchestra coaching session with the Filarmónica Joven de Colombia in Colombia. 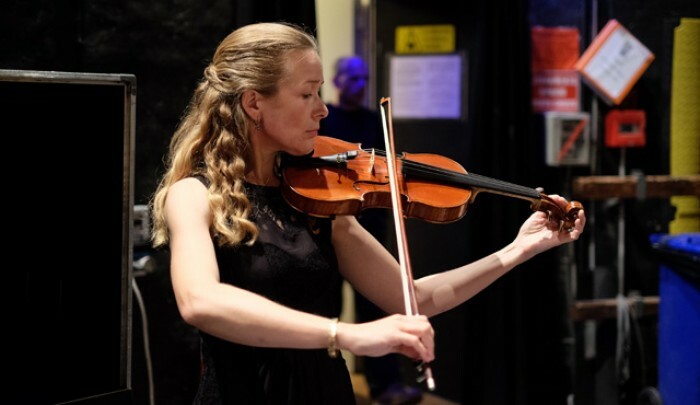 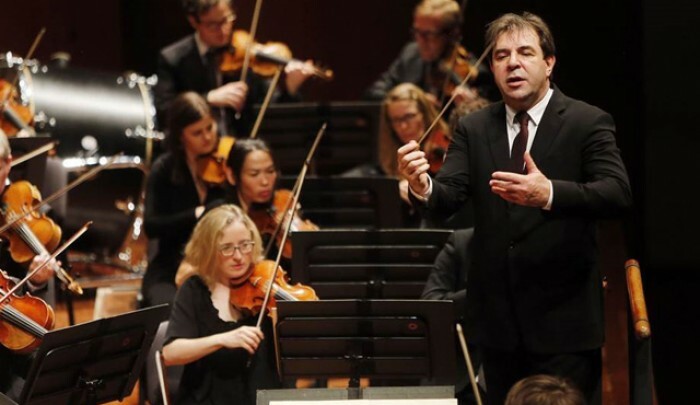 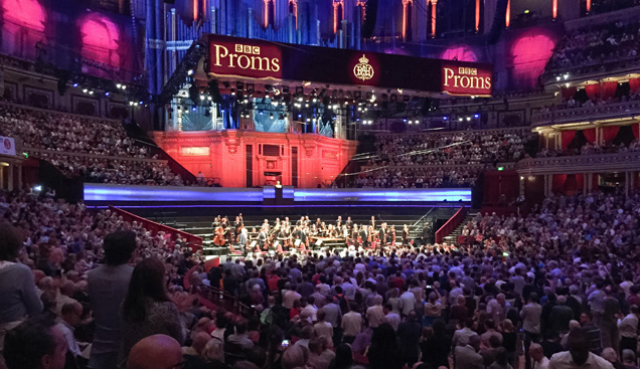 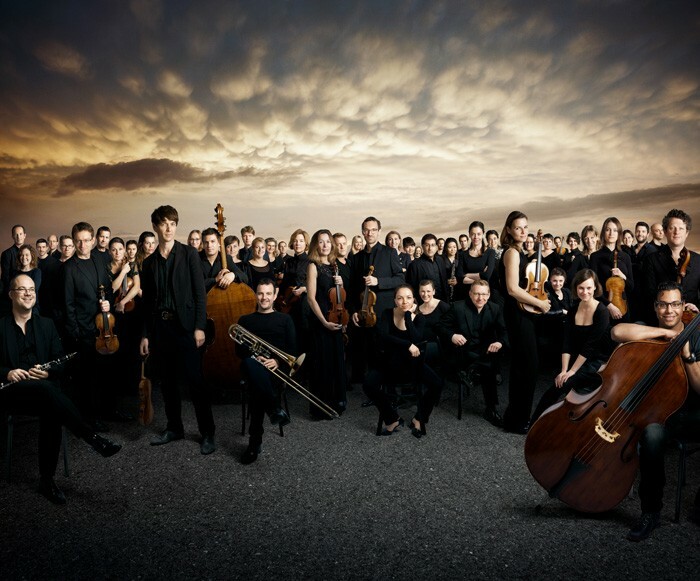 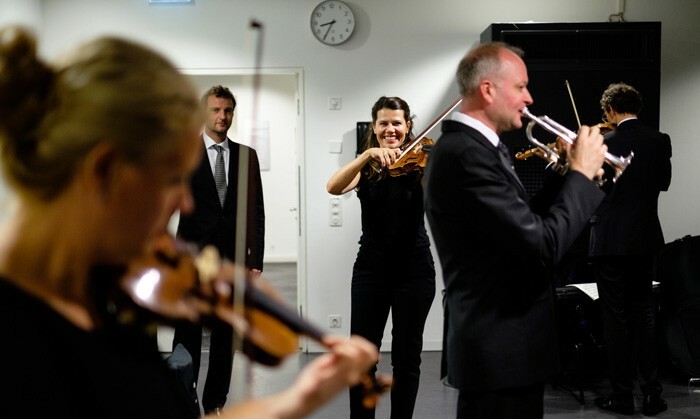 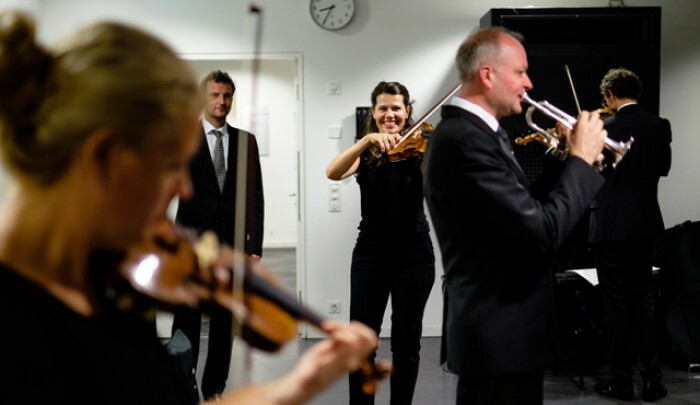 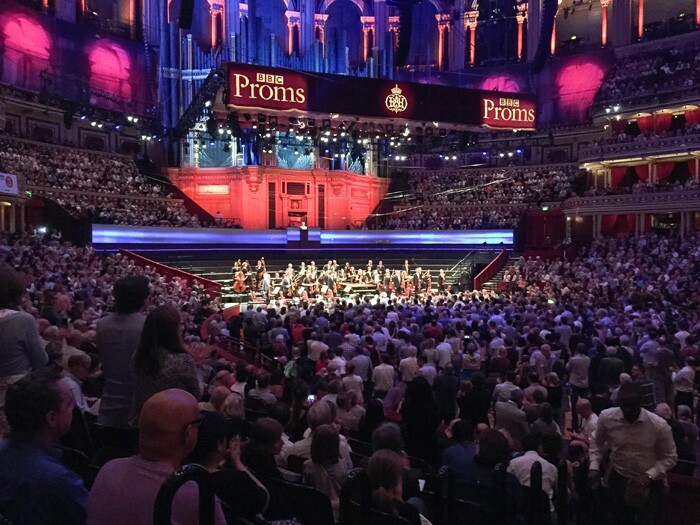 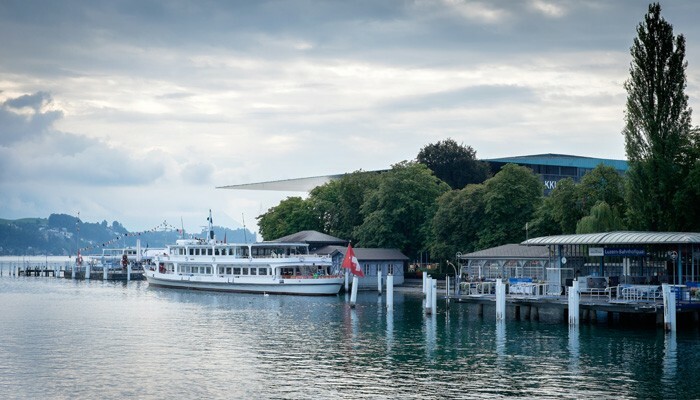 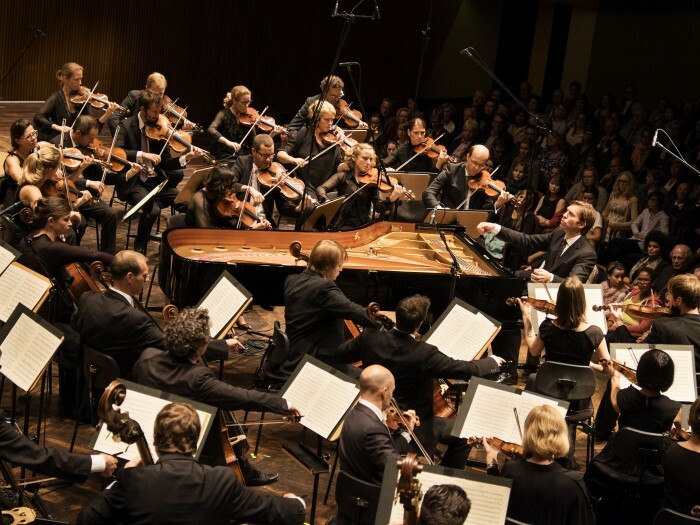 Performing with Barbara Hannigan as Conductor and soloist at this year's Lucerne Festival. 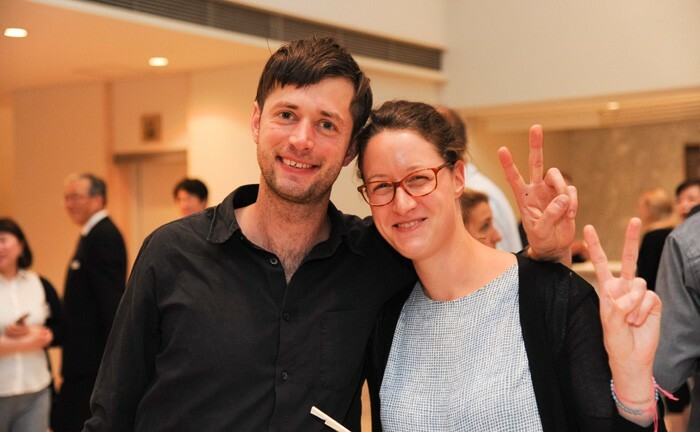 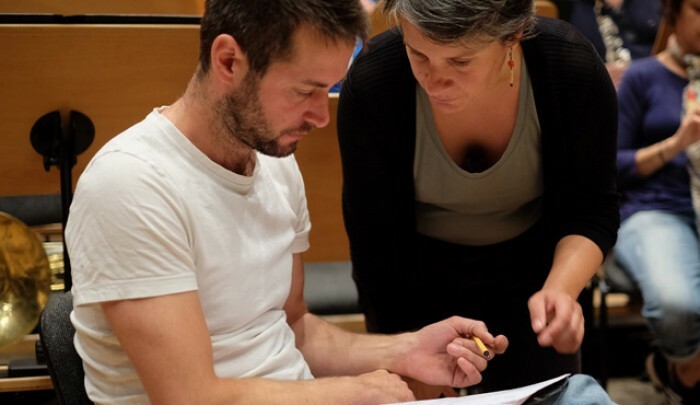 Stage Manager Matthias Mayr and Project Manager Hélène Delanglez discussing logistics in between rehearsals in Merano. 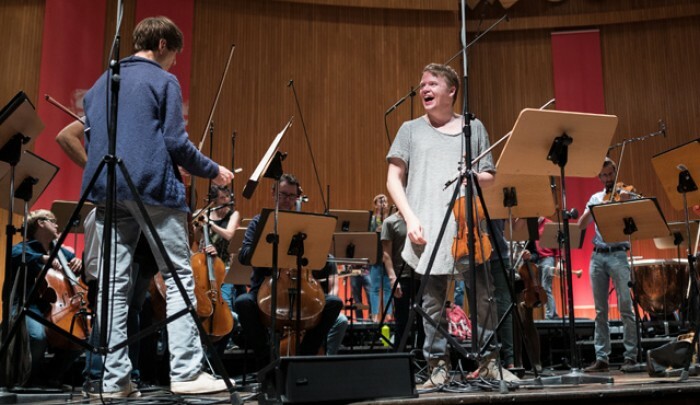 Unforgettable memories from our concerts with Pekka Kuusisto at the Merano Festival and Beethovenfest Bonn. 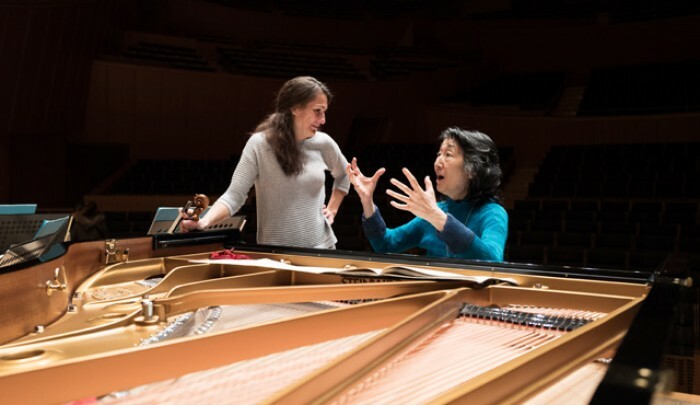 Katarzyna Wozniakowska (second violin) in conversation with Mitsuko Uchida in between rehearsals in Sapporo. 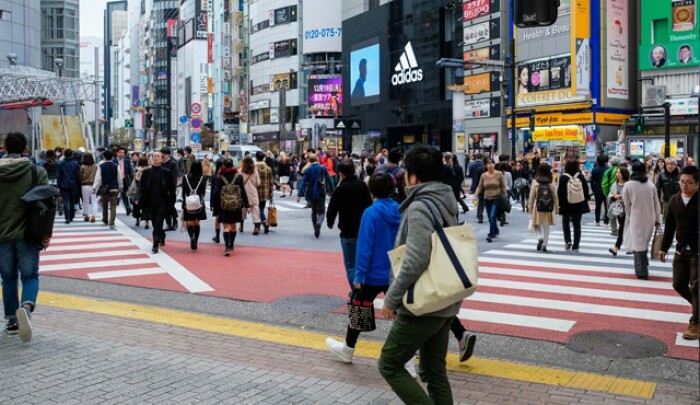 A busy street scene from Tokyo. 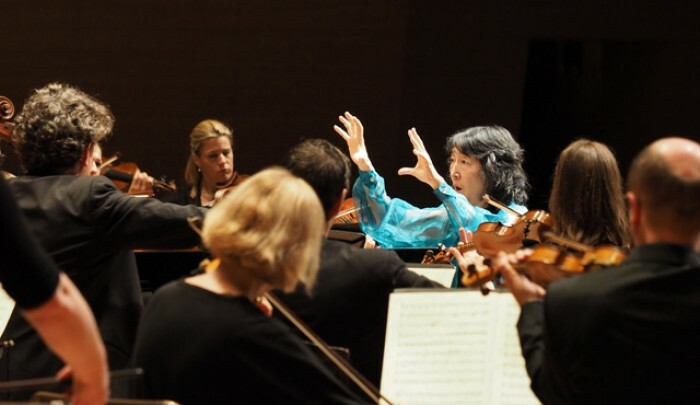 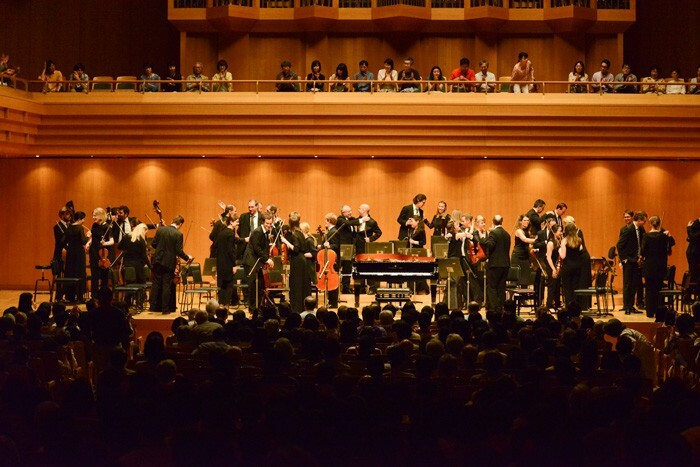 Sharing the stage with Mitsuko Uchida at Tokyo's Suntory Hall as part of our residency celebrating Suntory Hall's 30th anniversary. 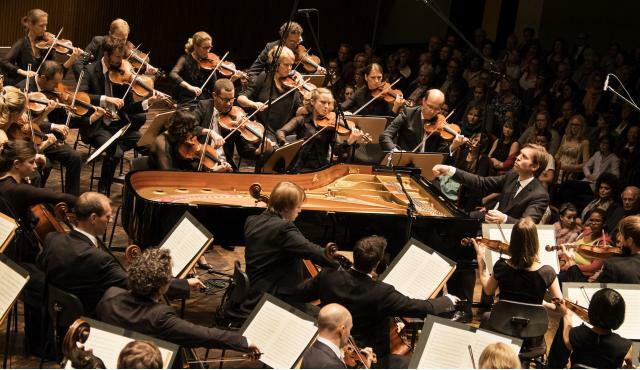 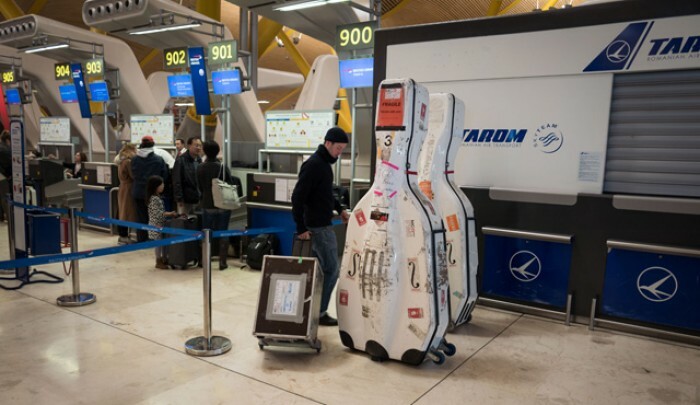 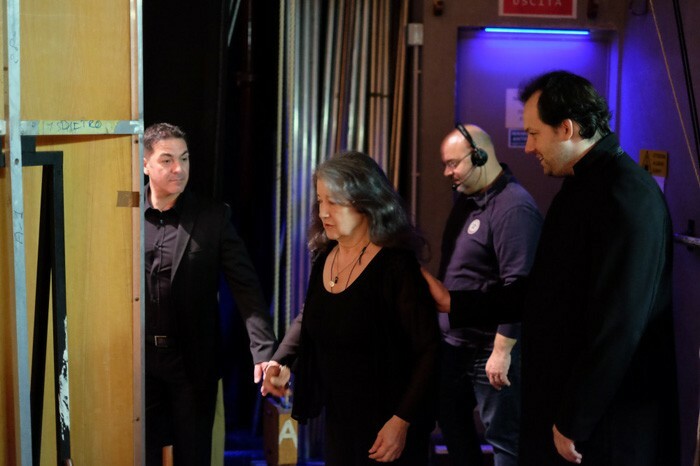 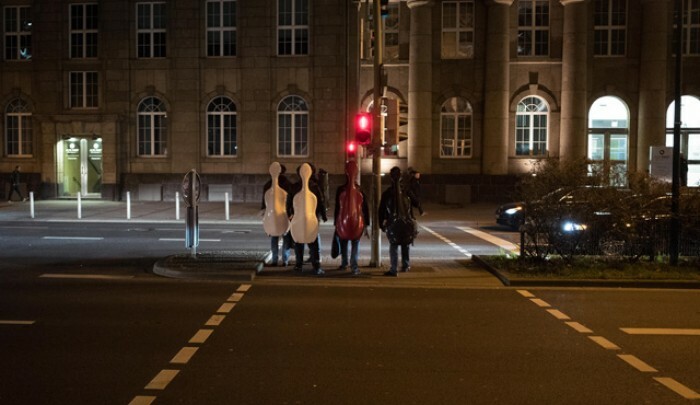 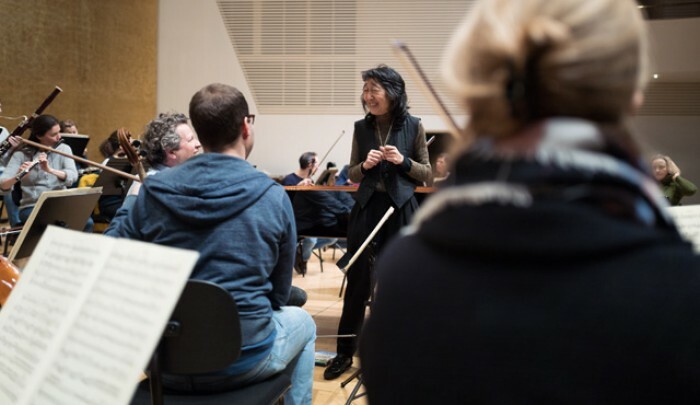 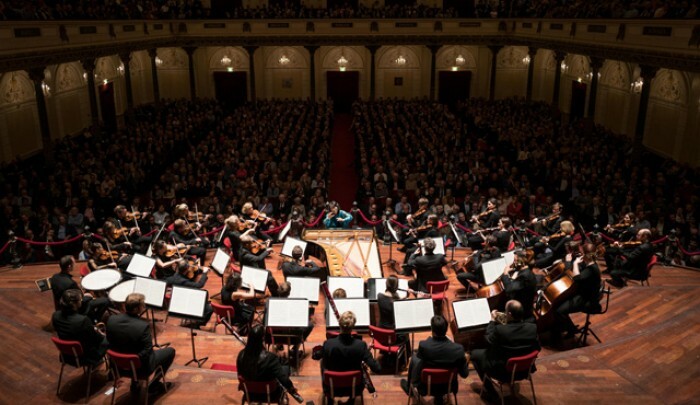 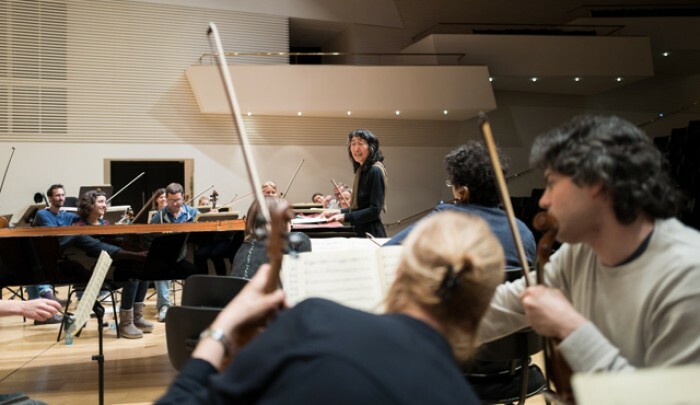 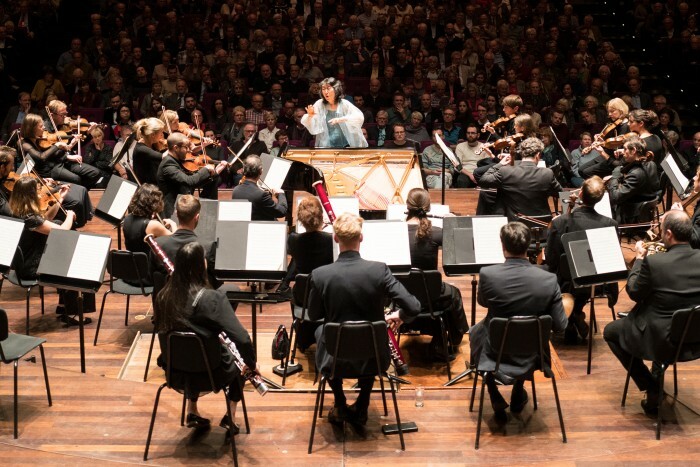 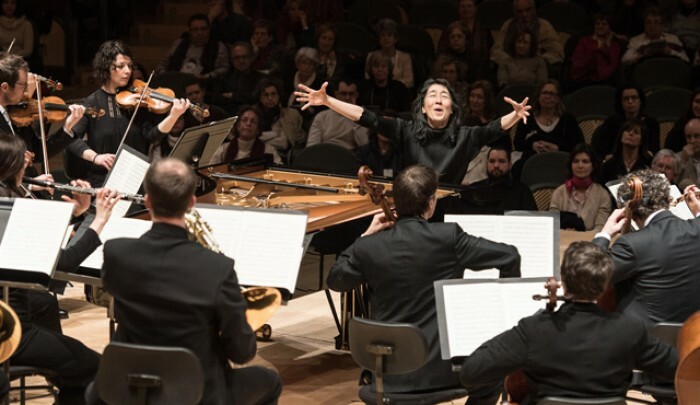 Performing with Mitsuko Uchida to sold-out audiences in Amsterdam's Concertgebouw on a tour to major cities in Europe. 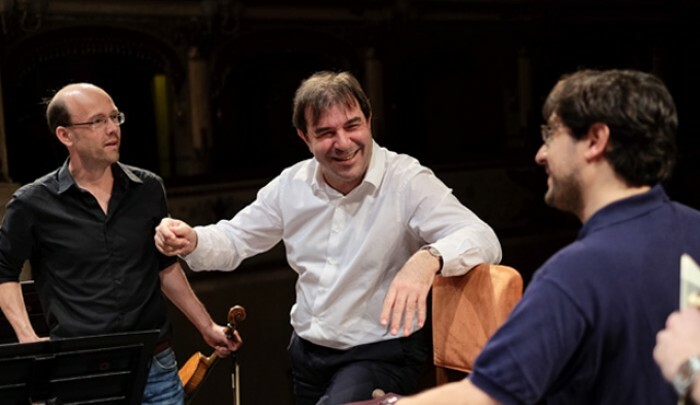 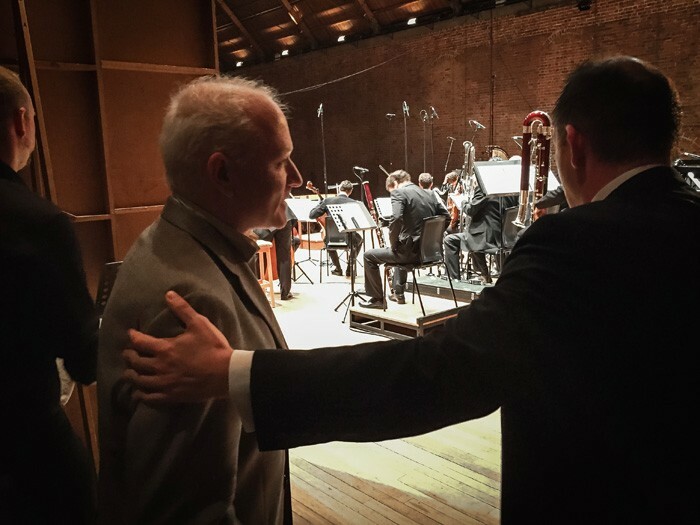 MCO Concertmaster Matthew Truscott and Michael Hoffmann-Becking, Chairman of the MCO Foundation, in conversation after our concert with Mitsuko Uchida at Konzerthaus Berlin. 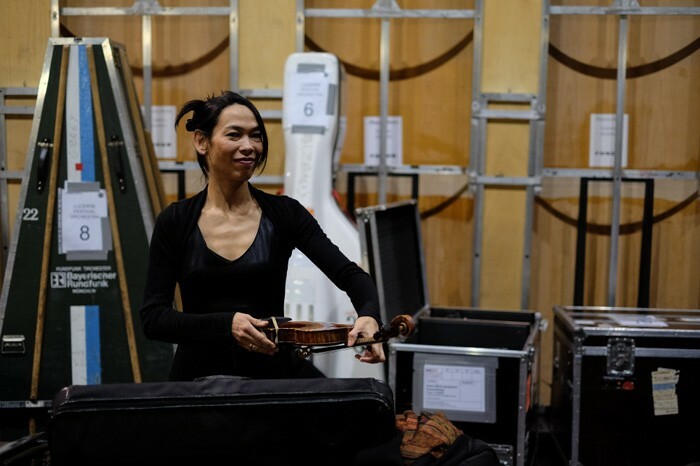 Artistic Partner Isabelle Faust and Julia-Maria Kretz (second violin) warming up backstage at Philharmonie Essen for our final tour of the year. 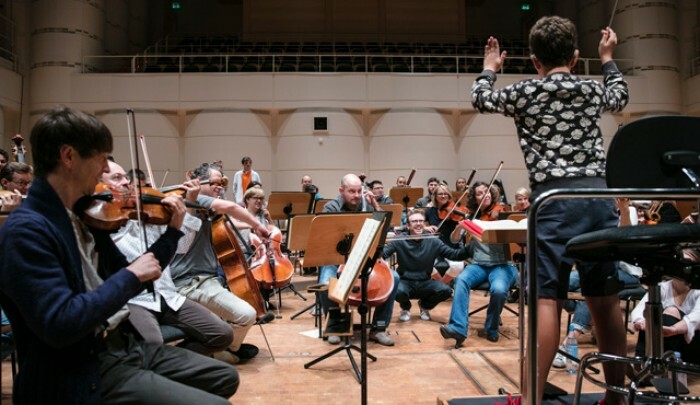 rehearsing at Konzerthaus Dortmund, during our MCO Academy Project in FEbruary. 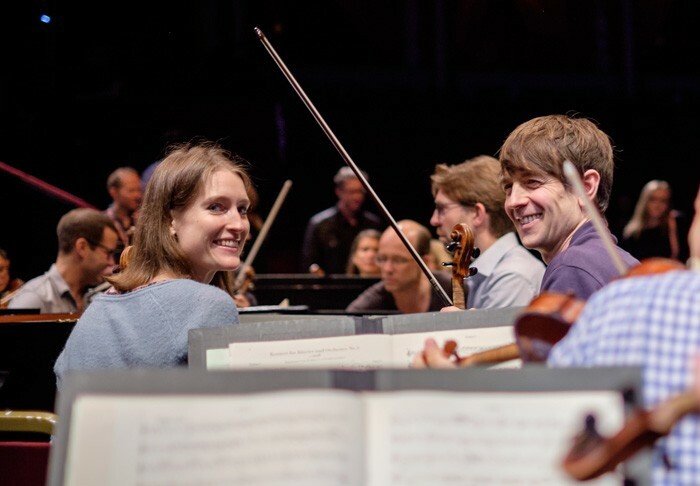 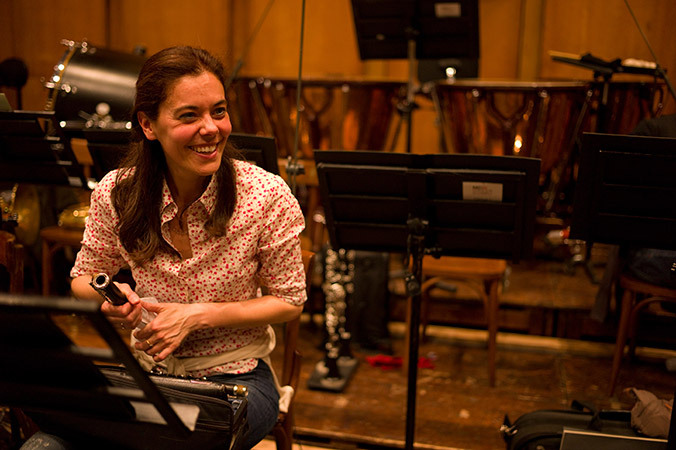 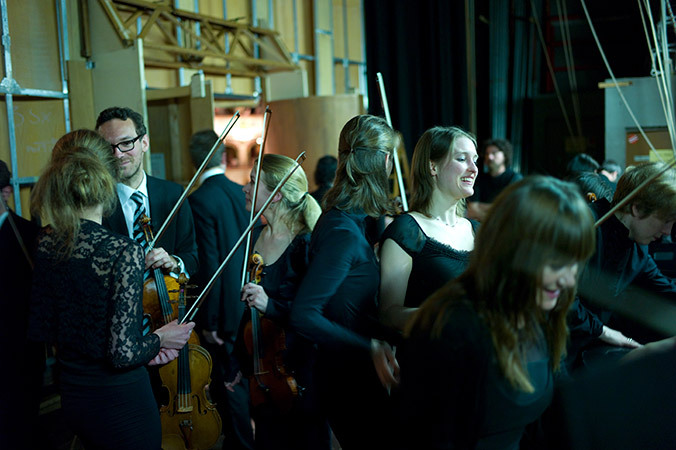 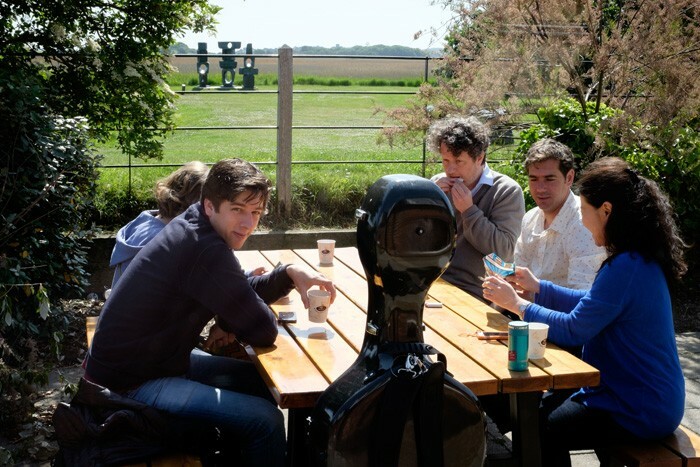 sharing a light moment with MCO musicians and Academists during rehearsals. 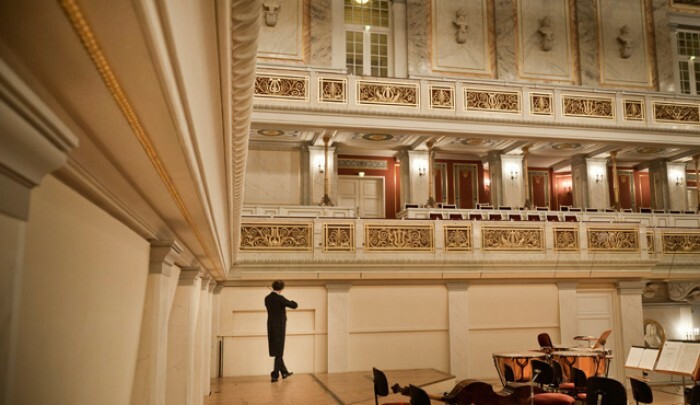 Performing Mahler's Second Symphony at Konzerthaus Dortmund as part of our annual MCO Academy project. 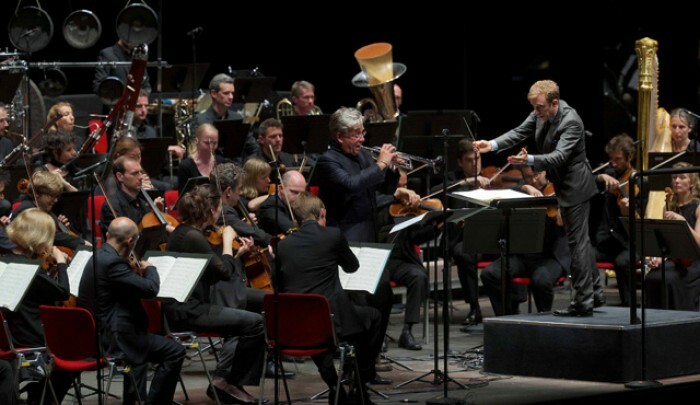 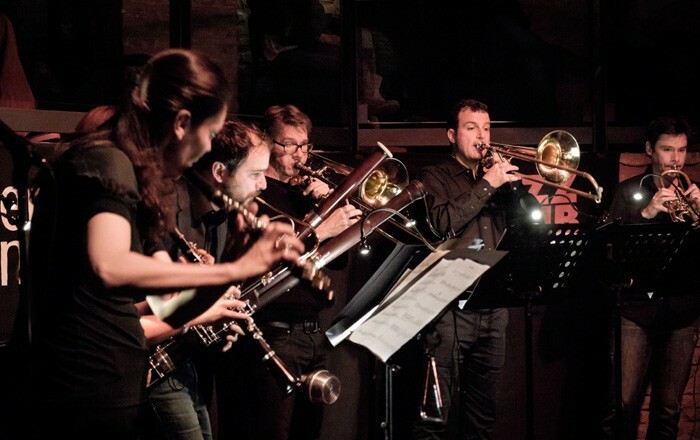 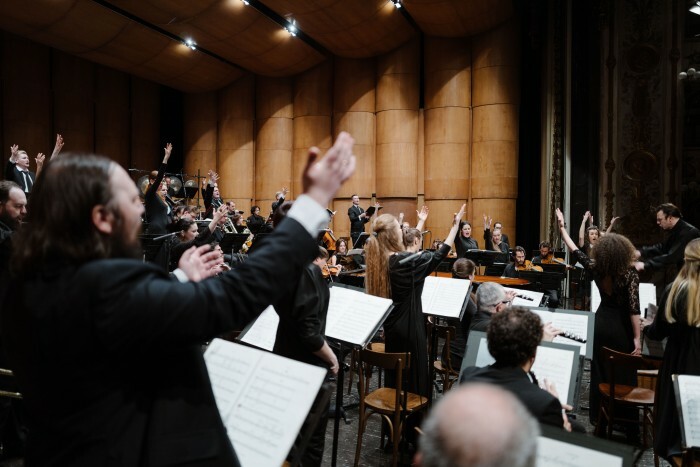 Leading the MCO and Håkan Hardenberger in a performance of Mark-Anthony Turnage's "HÅKAN" at the Ravenna Festival in June. 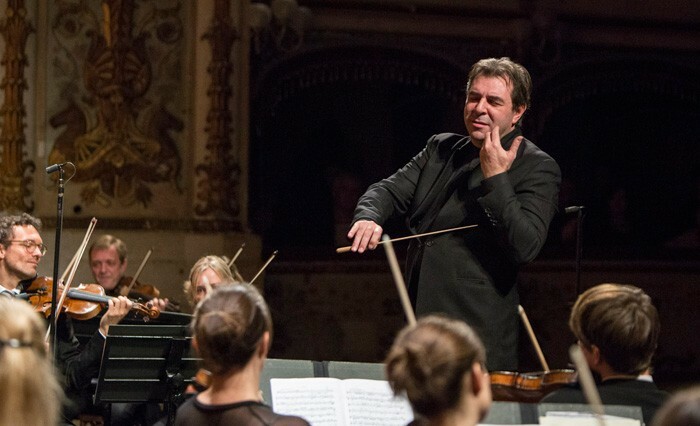 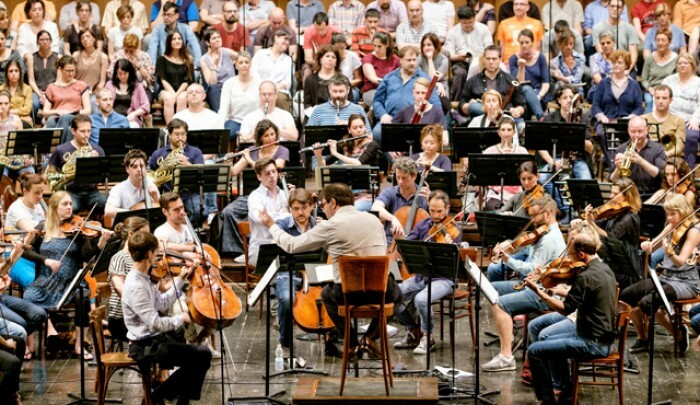 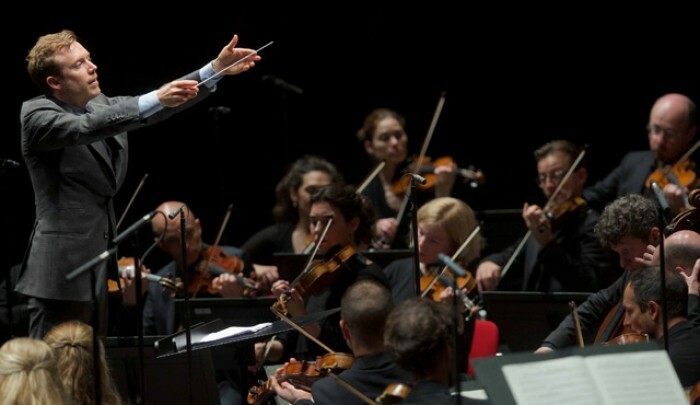 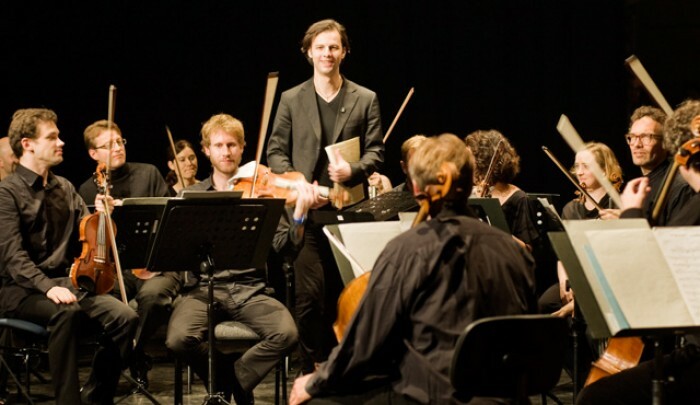 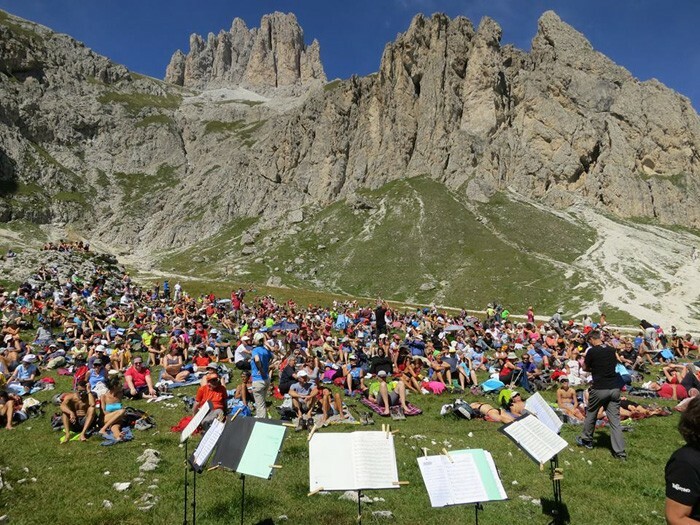 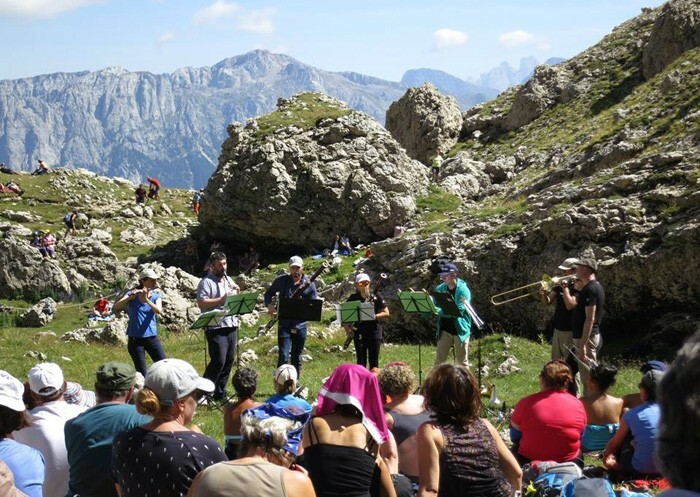 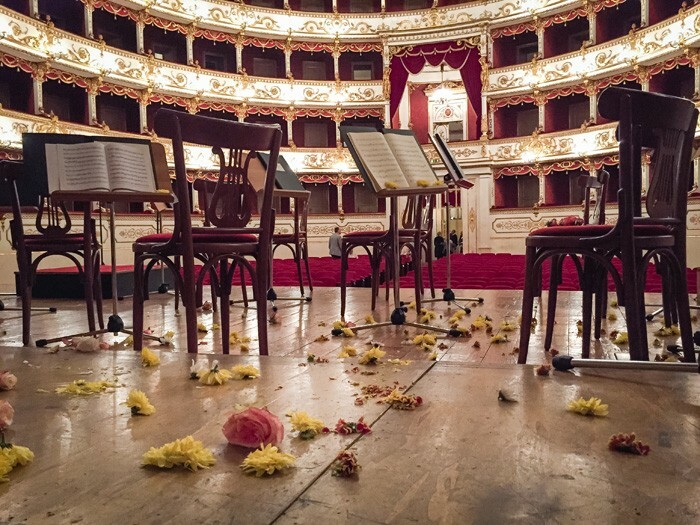 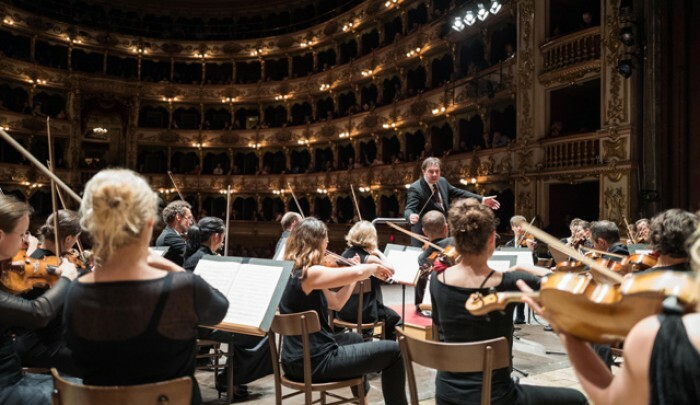 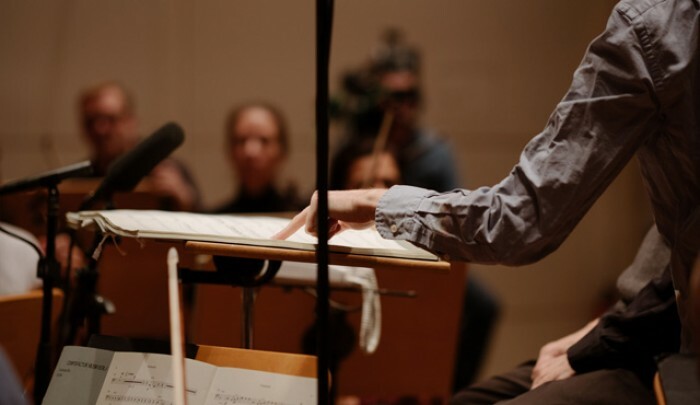 Conducting the MCO in a performance of Beethoven's Fourth Symphony at the Ravenna Festival in June. 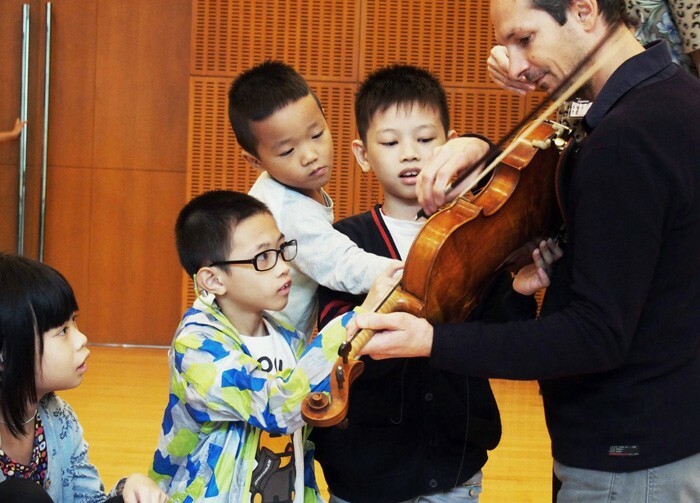 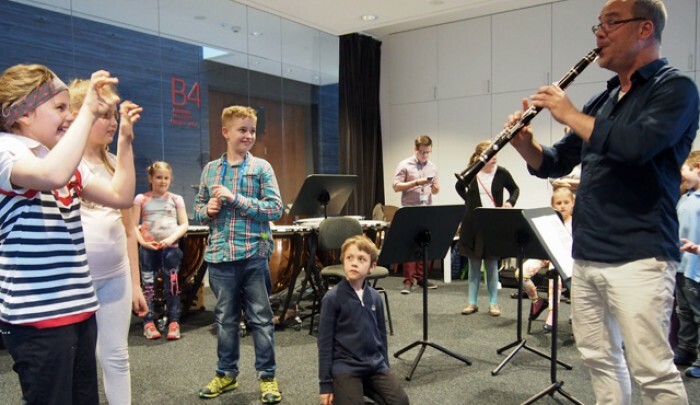 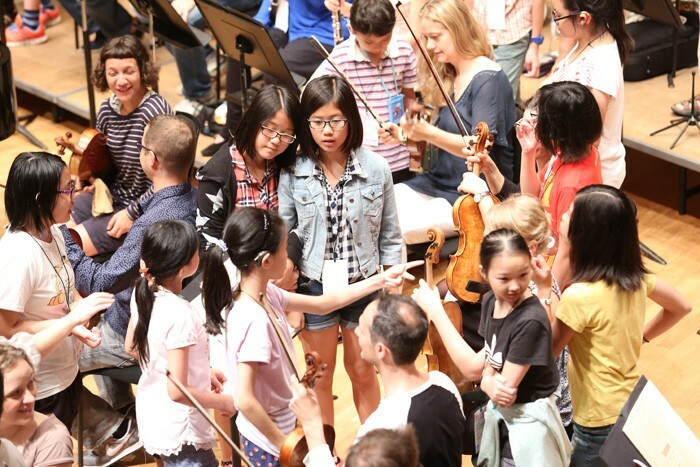 Encouraging Deaf and Hard-of-Hearing children to conduct the orchestra in our "feel the Music" programme at Konzerthaus Dortmund in October. 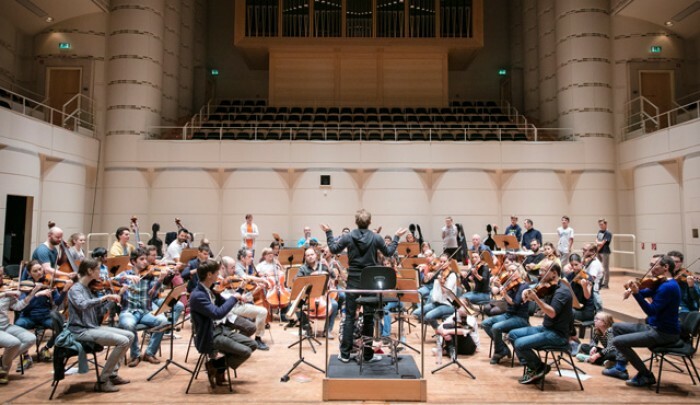 Rehearsing Mozart's three final symphonies with the MCO at Konzerthaus Dortmund in the presence of deaf and hard-of-hearing children, participants of "feel the Music".